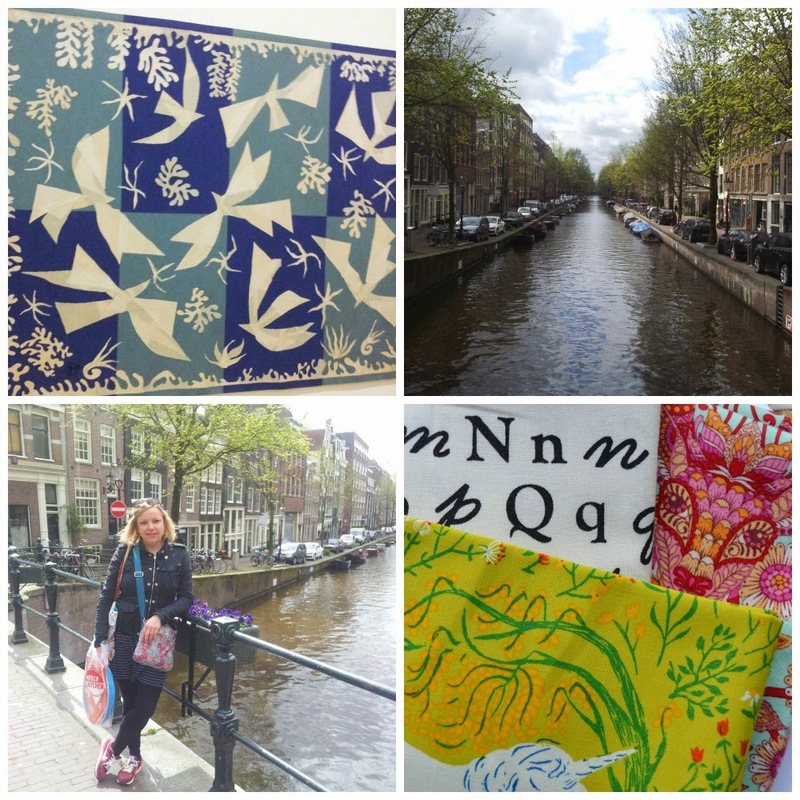 We were on our way back to the train station, when we found a great little Quilt/Fabric store on the Nieuwezijds Voorburgwal 99 called Birdblocks. 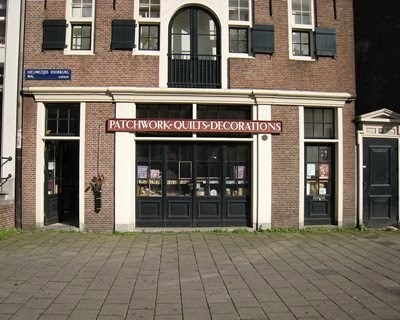 Quilt shops over here tend to be fairly traditional (think 'beige' and 'batik') and, quite honestly, a bit scary to visit. Birdblocks on the other hand is a shop where you feel welcome. It has a great selection of mostly modern fabric designs. I picked up a few fat quarters: a versatile lettering print, super cute Tula Pink Deer fabric and Heather Ross' Unicorn fabric in green from the reprint of the 'Far Far Away' line. I mostly buy my fabric online (not much lately though!) but it's so nice to be able to see the colours and prints in real life before you buy. Especially in such a friendly place. I'll definitely try and visit Birdblocks again, next time I'm in Amsterdam! We were on a holiday this summer but with the tour group did not have enough time to wander around... I would have loved to visit a fabric shop!! !